The North Atlantic Treaty Organization (NATO) was founded at a precarious point in history. When on April 4, 1949 – 70 years ago, the North Atlantic Treaty was signed, World War II had ended just a few years earlier. Two of the most evil ideologies the world has ever seen – Nazism and Communism – had reared their ugly heads in Europe for a big chunk of the twentieth century, as tens of millions of people fell prey to war and disease, but most of all, to totalitarian regimes trying to create a superhuman race (or a classless society for them, the rulers) at the expense of everyone else. This murdering on a gigantic scale would continue East for several more decades. Yes, Nazism was defeated. But Communism was not. Indeed, the socialist ideology would be expanding in the coming years to more parts of the world outside the Soviet Union. Eastern Europe was already on the wrong side of the Iron Curtain. But the situation was dire for Western Europe, too. As Gary Schmitt writes, the part of Europe that was free was still “economically on its knees, politically unstable, and with its various militaries demobilized,” and was facing “a Stalin-led Kremlin with a still-massive Red Army that was in an increasingly dominant position in Central and Eastern Europe.” The outbreak of the Korean War in 1950 was the final straw and would ultimately set the group of NATO members on course for a true defense alliance. Indeed, NATO in these decades can be considered as nothing short than a major success, as Western Europe and the U.S. prevented the Soviet Union from invading countries on the western end of the Iron Curtain, thus setting up a Europe which would flourish economically and enable freedom for its people for many decades – one might say, until today. Indeed, while Europeans often claim today that the European Union brought peace to Europe, it can be said that while the EU surely played a role, NATO and the presence of the U.S. had a much bigger effect. After all, the years after the fall of Communism were still very unstable years for Eastern Europe. But having the possibility to join NATO – and thus being incentivized to implement liberal reforms, made it easier for those countries to build a free and sustainable future with “stability and democratic norms.” Indeed, writes Mark Rice, “the security NATO has offered these states has given them the room to prioritize internal reforms over confronting external conflicts.” This even included a reunified Germany, which was far from being considered a stable and non-aggressive liberal democracy when the eastern part would unite with the west. Therefore, in the Soviet era and the years after, NATO, while far from being perfect, had “successfully contained one of the deadliest ideologies ever conceived and then played a major role in the return of some 100 million people in Central and Eastern Europe to democracy, markets, and shared prosperity,” as Dalibor Rohac notes. Despite that, criticism has been mounting ever since. As NATO has moved on from the Soviet threat and the early expansionary moves in which it excelled, it has embarked on new expansionary measures which have instead led to disaster. These expansions are two-fold and have made NATO much more than merely a defense alliance. Russia’s annexation of the Ukrainian peninsula Crimea in 2014 has been the most significant geopolitical event on the European continent itself in the last years and is largely seen as a response to NATO’s consistent attempts to expand further and further east. While this can surely be seen as a kind of “Russian paranoia,” the expansion process after the early post-Soviet years has become often chaotic, hectic, and certainly unnecessary and destabilizing. NATO has admitted – and is continuing to admit, countries that are fragile, are missing stable liberal democratic institutions, and reek of corruption. In addition, a clear benefit of introducing these new members to the club is often missing for existing members. As Walter McDougall notes, simply increasing numbers should not be a goal in itself: “unchecked inflation is often a symptom of institutional senility rather than vitality.” Next to cornering Russia, the latest expansionary attempts have rather weakened the alliance. No other political leader has influenced the debate around NATO and its future as much in the last years as U.S. President Donald Trump. Most of the discussion has been surrounding the defense spending of NATO member states. About three-quarters of the alliance’s total spending on the military is coming from the U.S., and of the 29 members, only four – Greece, Poland, United Kingdom, and Estonia – are fulfilling the NATO’s own two-percent-of-GDP military spending criteria. For the U.S., this is a problem, as it feels as though (and is quite correct in this feeling) that it is financing the entire alliance’s defense. At the same time, however, Europe has evolved: almost three decades have passed since the end of the Cold War and the fall of the Soviet Union. McDougall writes that “nothing resembling the threat of Josef Stalin’s empire and Red Army exists today and Europeans are well aware of that … Germans, French, and Italians simply do not feel threatened by Russia. Hence the ‘free rider’ dilemma.” Even this “free-riding” is often considered as too intrusive at this point by Western European countries and spurs anti-American sentiments, as seen with U.S. military outposts in Europe. After all, “the bases that used to defend free Germany from communist control lie today at the center of an independent and united continent.” Because of that, even the two percent target should possibly be reconsidered altogether. Does this make NATO “obsolete,” as the U.S. President said? Not necessarily. New threats and challenges have arisen. And the alliance can learn from past mistakes. Now, at its seventieth anniversary, it has an opportunity to reinvent itself and return to its path of success. First of all, NATO needs to return to “only” being a defense alliance and stop engaging in others’ affairs. 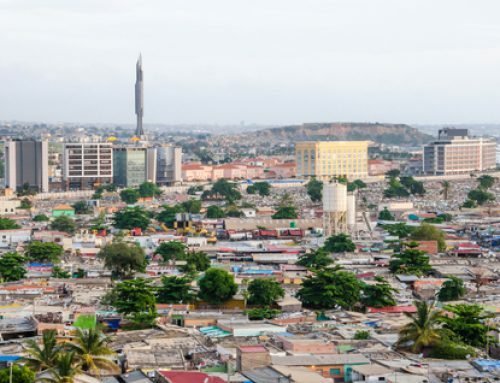 Regime change attempts on other continents have failed consistently in years’ past, led to even more misery than before, and caused “blowback,” as at least parts of the people in these countries have seen interventions by the West as an intrusion rather than liberation. Instead, NATO should only be active in areas where outsiders are intruding on NATO members. This could entail collaboration on detecting and preventing actual terrorism on the home turf (not in foreign countries). But it could also include tackling new threats, for instance, putting a bigger focus on cybersecurity, the protection of critical infrastructures like the energy grid, or organizing emergency forces to help, prevent, or alleviate natural disasters in case of worsening global warming. It is often said that the greatest (or only?) conventional, geopolitical danger facing traditional NATO members today is coming from Russia, which seems crystal clear ever since the Crimea crisis. This is often used as an argument for NATO to expand even further and, thus, help out Baltic countries which are directly bordering to Russia. Nonetheless, expanding to the Baltics would merely be repeating old mistakes, giving Russia even more reasons to be paranoid. These wrong-headed expansionary attempts should be refrained from. Instead of critically observing every minute move the European Union is making in defense integration, in fear that the EU might replace NATO one day, the alliance should encourage more self-responsibility. Defense integration on the EU level has many grave dangers – such as a European army, which needs to be categorically rejected – but also has much potential on a smaller scale, such as collaborative defense projects through PESCO. NATO should not stand in its way. Even more so, the Baltic countries which are perhaps in danger of Russian invasion are members of the EU. So if “the Baltic republics today are the equivalent of West Berlin during the Cold War,” then why shouldn’t fellow EU member states rush to help instead? The question “Why Die for Tallinn?” possibly does not have good answers for Washington. But it might be more sensible for continental Europe itself. Even more so, NATO can be a substantial driver in facilitating and improving the transatlantic relationship, which is highly difficult at the moment. This includes trade policy, where free trade and voluntary collaboration between Americans and Europeans have made way for protectionism and provocations, which could ultimately cumulate to an actual trade war. The North Atlantic Treaty’s Article 2 sets out that member states “will seek to eliminate conflict in their international economic policies and will encourage economic collaboration between any or all of them.” Bringing free trade back on the agenda and calling out unnecessary protectionism or regulatory measures could help in mutual understanding across the Atlantic and spur growth. All of these suggestions on how NATO can change have one thing in common: they would result in doing what NATO was set out to do – but no more. NATO has gone beyond both its competencies as well as capabilities. 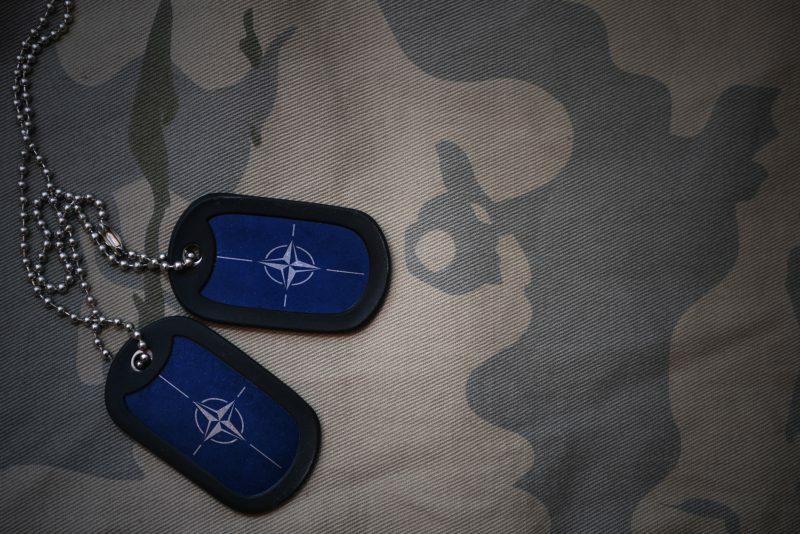 As with most other supranational organizations of today, NATO would do well in simply doing less – and by slimming down. This is not to say that it should just do the exact same things as when it was founded – but it should use the framework from earlier years for today’s challenges. 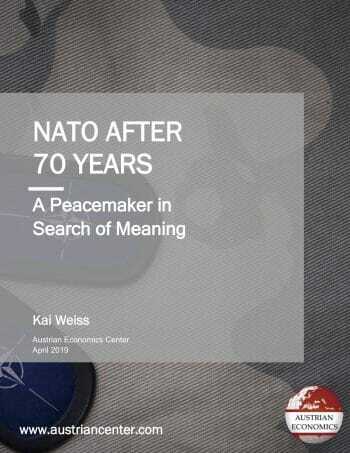 NATO has, in many ways, been a success story in securing peace in Europe, constraining the Soviet Union, facilitating friendship in the Western world, and helping in restoring liberal democratic principles in countries that nearly lost them forever. But we shall never glorify a supranational organization, which is merely a tool for cooperation between states, without questioning its work – the former Prime Minister Margaret Thatcher made this clear when it comes to the EU. It should be no different for NATO. At seventy years of age, NATO is not done yet. It might soon be, though, if it does not redefine itself – or, better said, instead of redefining itself, returns to its roots and thinks smaller. Rather than trying to save the world, it should defend its members in the face of grave dangers. This is where the alliance has been particularly successful in the past.